First Timothy is the first of what are often called Paul’s Pastoral Epistles (1 Timothy, Titus, and 2 Timothy), letters written to certain co-workers of Paul to whom he was giving guidance on how to be a faithful pastor and worker in God’s Church. These letters also include a number of instructions for these men on how they can guide Christian congregations in selecting faithful leaders, in organizing and conducting worship, and in avoiding false teachings and unholy living. Timothy was a traveling companion and co-worker with the apostle Paul. From the book of Acts and from various epistles (letters) of the New Testament, we are able to piece together a good amount of information about the man Timothy. His father was a Greek and his mother, Eunice, was a Jewess and a believer (Acts 16:1). His grandmother’s name was Lois, and she was the first believer of their family (2 Timothy 1:5). Timothy had been a believer since he was a baby (2 Timothy 3:14-15). Paul had Timothy circumcised before he took him along on his Second Missionary Journey as an example for the Jews because his father was a Greek (Acts 16:1-3). As for Timothy’s personality and work with the apostle Paul we can also piece together some interesting information. Timothy was probably much younger than Paul (1 Timothy 4:12), and Paul saw Timothy as a very dear son in the faith (1 Timothy 1:2,18; 2 Timothy 1:2; 2:1). Timothy was not shy with God’s Word and message (2 Timothy 1:6-7). Paul used Timothy to strengthen and encourage congregations (1 Thessalonians 3:2; Acts 19:22; 1 Corinthians 4:17). It also appears as though Timothy went to prison after Paul’s death because of his work for the gospel (Hebrews 13:23). In 1 Timothy 1:3 we are told that Paul left Timothy behind him in Ephesus when he himself went on to Macedonia. But on the only occasion when Paul traveled to Macedonia from Ephesus according to Acts, he had Timothy with him. Timothy was also in the apostle’s company when Paul wrote 2 Corinthians (Acts 19:22; 20:1-4; 2 Corinthians 1:1). Again, we are told that Paul hoped to return to Ephesus (1 Timothy 3:14). But when he went to Macedonia on his third journey, he planned to pass the winter at Corinth and go on from there to Jerusalem. 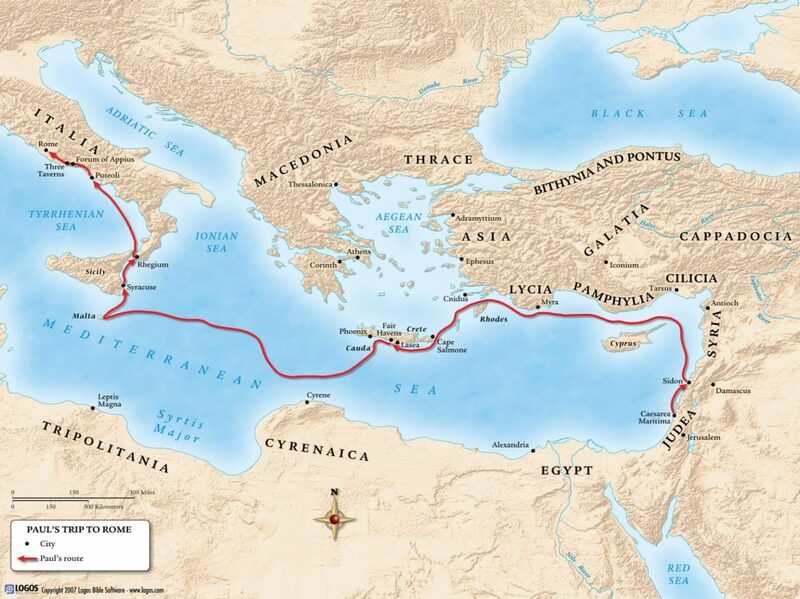 In fact, when he set out on this return trip, he avoided a visit to Ephesus in order to save time (Acts 20:16).1Schaller, John, Loren A. Schaller, and Gary P. Baumler. The Book of Books: A Brief Introduction to the Bible. The People’s Bible. Milwaukee, WI: Northwestern Pub. House, 1990. 263. However, this does not mean that the apostle Paul did not write the Pastoral Epistles. In fact, these separate events could actually help support Paul being the author. If these letters were written and falsely attributed to Paul, one would assume the person writing in Paul’s name would have used events and locations that matched widely known facts about Paul’s life. Instead, what we have seems to point to Paul’s missionary activity after the book of Acts and after his earlier letters had already been written. See below for more information on a possible fourth missionary journey of the apostle Paul. Unlike Paul’s ten other letters, the Pastoral Epistles do not fit into the historical framework of the book of Acts and therefore must have been written after Paul’s imprisonment in Rome, with which the book of Acts closes. 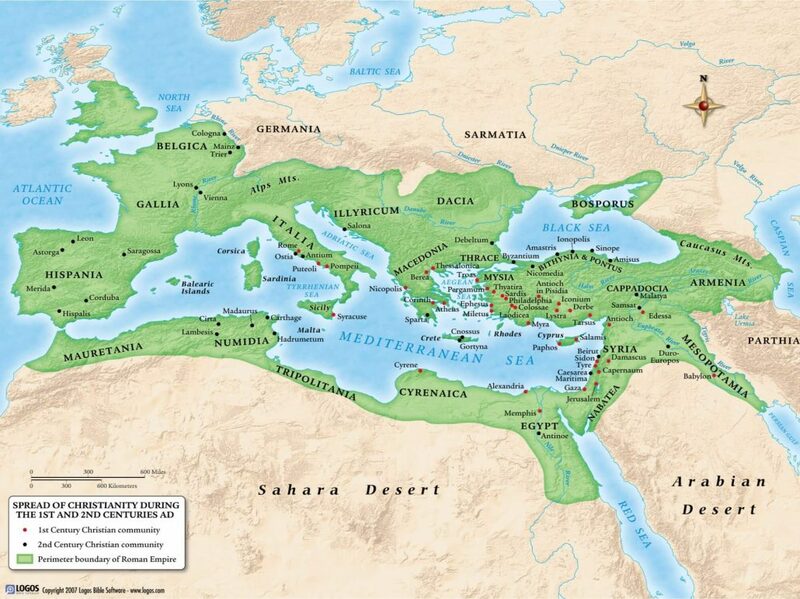 Also, in 1 Timothy we see that Paul was in Macedonia and Timothy was in Ephesus. As mentioned above, we don’t see this situation in the first, second, or third missionary journeys. Acts 25:25; 26:32 – Paul’s innocence was obvious to the Roman officials (and these men were not exactly friends with Paul–they were officials in an anti-Christian government). It seems in their opinion that Paul would be released. Philippians 2:19, 23, 24 – Paul believed he would be released soon. Philemon 22 – Paul again mentions being released soon, and he tells Philemon to prepare a guest room. Reliable tradition reports that Paul was martyred during the Neronian persecution (AD 64-68). This would have given up to five years during which Paul could have been a free man prior to his second, and final, imprisonment. Knowing Paul, he would have done what Paul does when he is free: missionary work. There are hints of a fourth missionary journey in Romans 15:24, 28; 1 Timothy 1:3; 2 Timothy 4:13,20; Titus 1:5; and Titus 3:12. Paul writes to Timothy in order to encourage him in his ministry and to guide him as he faces a number of challenges as a young pastor. First and foremost on the mind of Paul is ensuring that Timothy does not give in to false teachers and others who are taking advantage of the gospel message (1 Tim 1:3), a point which he also returns to at the end of his letter (1 Tim 6:2-16). Paul also gives Timothy instructions on godly and orderly worship (1 Tim 2). He then gives Timothy guidelines to follow in order to select men and women wisely for service in the church (1 Tim 3:1-16), which again seems focused on helping Timothy and his congregations avoid false teachings (1 Tim 4:1-16). Among all of these instructions is pastoral advice for Timothy as he shepherds various groups of people in God’s Church (1 Tim 5:1-6:2). 1. ↑ Schaller, John, Loren A. Schaller, and Gary P. Baumler. The Book of Books: A Brief Introduction to the Bible. The People’s Bible. Milwaukee, WI: Northwestern Pub. House, 1990. 263.